In its health insurance days, the Disease Management Care Blog learned an important rule: never ever let anyone upstairs in the 'C' suites get involved in the cumbersome details of pharmaceutical coverage. That included the formulary, comparative effectiveness, pricing or making a medical necessity call on an individual patient. It wasn’t their fault, but they often messed things up with over-simplifications, lack of scientific knowledge or poor communication. This was a rare lapse for a President with such impressive communication skills and a staff that’s been helping to keep him on message. What’s more, the euphemism blew right past our bored (‘may cause drowsiness,’ ‘lackluster,’ ‘paying defense’ and ‘small’) press corps into Americans’ living rooms, where the damage to our body politic was done. It reinforced a hopeless expectation that can never be achieved in the real world. In the real world, the blue pill never works ‘just as well’ as the red pill. Different pills have different molecular structures that impart different properties in how quickly they are absorbed, digested, reacted to, metabolized and cleared. In the laboratory, in individuals and in populations, there are, and sometimes there aren’t, real differences in risks, benefits and side effects. Esomeprazole (Nexium) is the active stereoisomer of the active ingredient omeprazole (Prilosec). According to this paper, it reduces stomach acid for a longer period of time. Many well meaning lay persons and some physicians could scientifically conclude Nexium is a better drug. That doesn’t mean there will be necessarily improved clinical outcomes. Should Nexium be the red or the blue pill? It is well known that cholesterol drugs differ in ‘potency.’ Many well meaning lay persons and physicians could conclude that a high dose of a potent statin is a better strategy. This observational and real world study, however, found that a change involving atrovastin (Pfizer’s potent Lipitor) did not lead to a significant decline in the study population’s cholesterol levels. If a doctor is convinced that the potency is important for the patient, should Lipitor be the red or the blue pill? The success of antidepressant medications are known to vary, depending on the symptoms, concurrent medications, side effects, medication response history, tolerance and patient preferences. Yet, there is consensus is that there is an ‘equivalence of therapeutic effect,’ which is shared by primary care physician leaders. Which symptoms, concurrent medications, side effects etc. should be used to decide which should be the antidepressant red pills and which should be the blue ones? Which brings up a deeper problem in the President’s words. 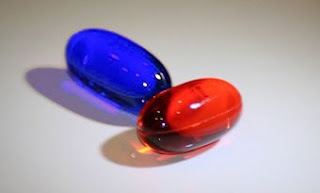 Reconciling red versus blue pills is what doctors do. Unfortunately, they don’t necessarily do a good job. Saying that we’re going to insist on blue pills while simultaneously respecting the independence of the doctor-patient relationship is an exercise in cognitive dissonance. If pressed about covering medications, health insurance C-suite execs and Presidents should stick to saying they are doing their best to make sure that the right drug reaches the right patient for the right reasons. 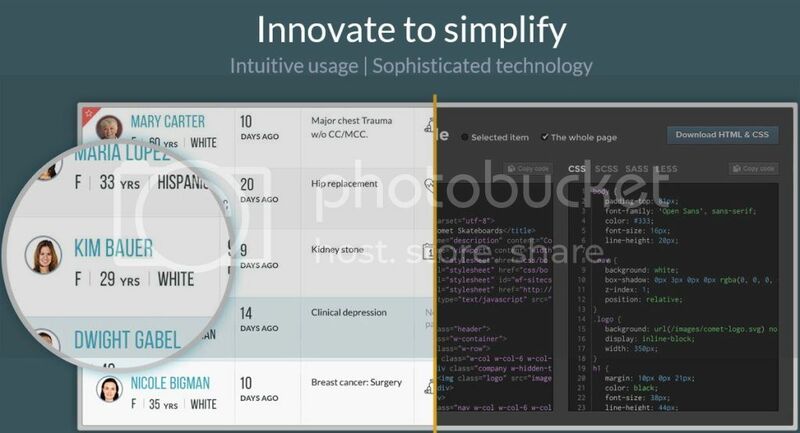 They should also admit that that process for making this happen is imperfect and that we have ways to make it less cumbersome and more precise. Last but not least, the DMCB wonders if the red pill –blue pill discussion may be more than a Presidential misstep. If it is representative of sophistication of the policy-making going on inside the White House, maybe it’s not such a bad idea that things slow down.